Are You Unsure If You Need Subtitles or Closed Captions? Creating subtitles or closed captions your first film can feel like a big step. There are countless blogs out there looking at the differences between film closed captioning and subtitling. But even with all the information available, it can be difficult to understand exactly what you need for your movie. We like to make things easy for our clients. For this reason, we have created a comprehensive subtitling and closed captioning services checklist. As a general guide, closed captioning can be viewed as subtitling plus more. Subtitles only include dialogue. In contrast, closed captions include a lot more information and can be formatted in a much more precise way. Did you find that all that you require is on the subtitling side of the checklist? If so, standard English subtitles or indeed, foreign subtitles may suffice. Do you require ANY captioning elements present on the closed captioning side of the checklist? If so, professional closed captioning is definitely for you. 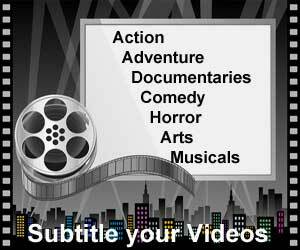 If you would like a quote for closed captioning or subtitling services, why not fill in our online closed captioning quote form. Alternatively, if you are a subtitling expert and would like to help spread the word on subtitles, contact us for a guest blog.